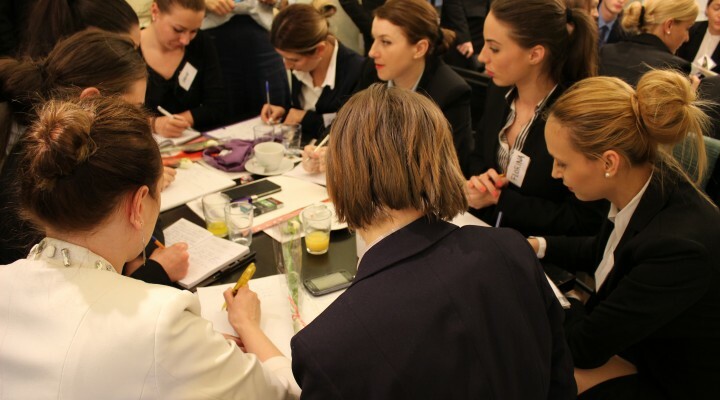 The course provides a broad overview of the role and duties of cabin crew, airline companies profiles, stages of each airlines’s interview and how to pass them. We make your perfect cabin crew CV & pictures, we help you gain confidence and learn how to speak in public, so you will have a flawless performance at your cabin crew interview. The course is a complex one, delivered in English, lasts 4 days, 8 to 10 hours a day, and is conducted by 3 aviation trainers with more than 30 years of experience in the aviation field. The How to be Cabin Crew team has prepared over 2000 students in the past 5 years, and 80% out of them are now working as flight attendants. They have been hired by Emirates, Qatar Airways, Etihad Airways, Flydubai, Flynas, Oman Air, Gulf Air, Ryanair, Easy Jet, Wizz Air, British Airways, Vueling, Blue Air, Germania, Transavia. You learn how to present yourself in front of the recruiters and each student's interview outfit is checked by the trainer. You practice the final interview questions – something you come across at all interviews for this job. You learn what you need to include in your CV so that it speaks for yourself. During the course we provide you with the professional photos you need for the job interview portfolio. Each student's CV is verified and corrected if needed. We give you two pdf books on aviation interviews. You want to practise each stage of the interview until you master it. You already went to recruitment interviews and do not know why you weren't selected. Want to make sure your CV and photos are flawless. Want to get proper feedback. STEP 1: Fill in the application form below. You will receive a confirmation email for your registration. STEP 3: You will receive a confirmation email after the payment. Next will be meeting you at our course! STEP 4: You are ready to fly. You will soon join the group of previous students who already received their wings. This course changed me completely.